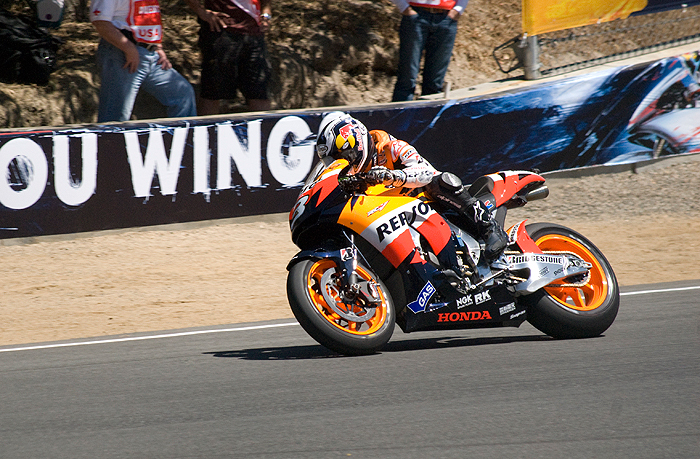 Not as if this is news but Pedrosa won at Laguna Seca on Sunday. Here is a photo from later in the race. Gallery to come as soon as I can manage it.